18 adventures to add to your bucket list this summer! 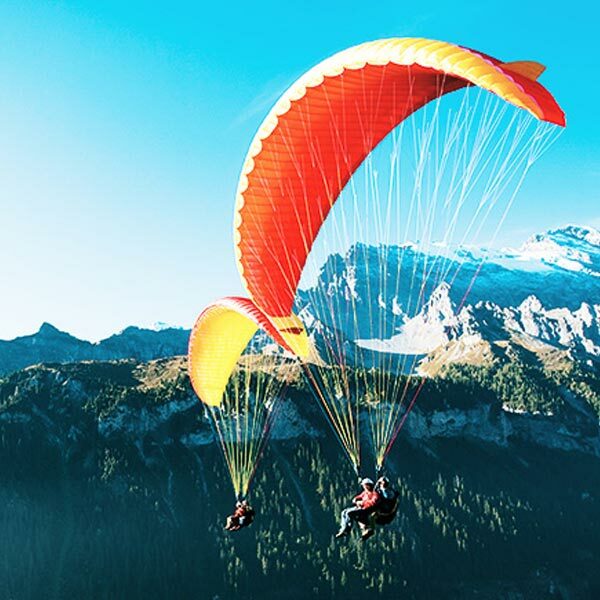 If you’re coming to Interlaken this summer, you’re in luck… you can do every single one of these right here! If you’re not, then book that ticket… take the ride! Welcome to the ultimate playground! If you want adventure or you have a large bucket list, you’ve come to the right place and it’s all about to kick off! Honestly, we love it here in Interlaken all year round and each season brings excitement for the next! 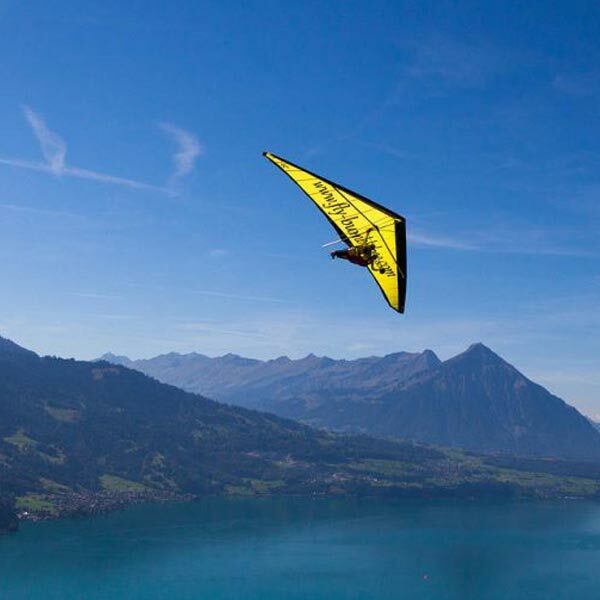 Right now all that excitement is on MAY 1 … this for us, officially marks the beginning of summer in Interlaken. Time to put away the skis and boards, and dust off the rafts, canyoning gear, parachutes, bikes and hiking boots! ???? …ok, we know it’s a lot! So think carefully about what you want to do while you’re on holiday in Interlaken, Switzerland. Don’t think, just do whatever jumps off the page at you!! 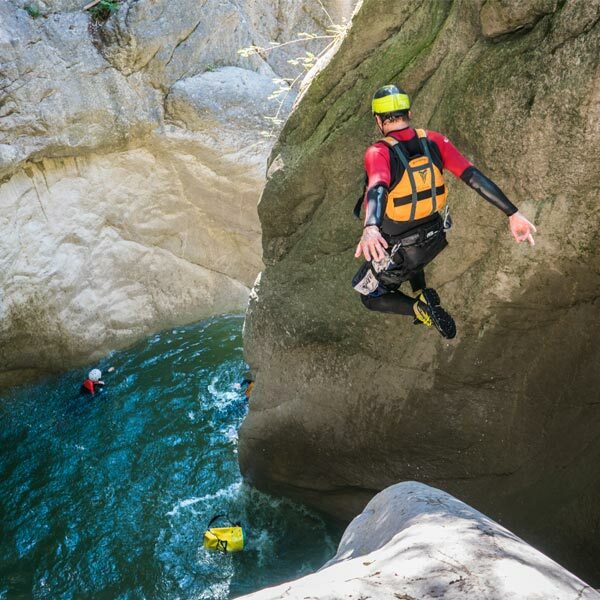 Canyoning involves travelling through narrow gorges, rappeling or abseiling down waterfalls, jumping into pools and sliding down incredible rock formations. Such a unique way to experience the Swiss alps! 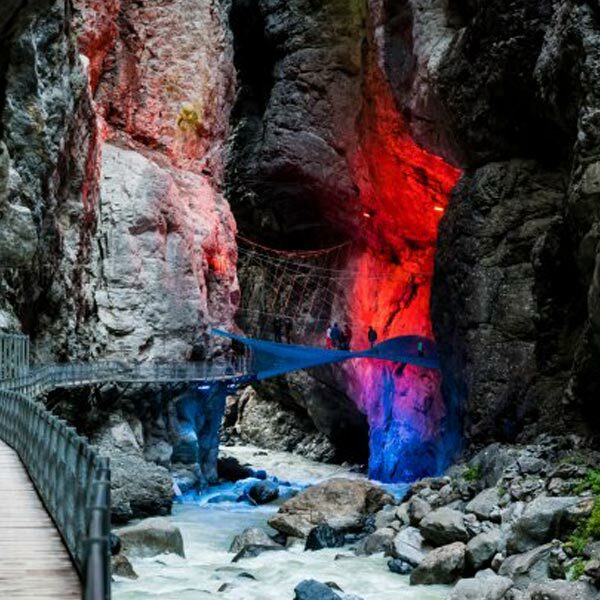 There are three different canyoning trips you can do in Interlaken. 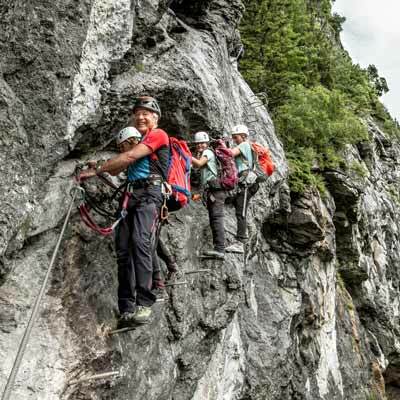 Canyoning Interlaken, Canyoning Chli Schliere and Canyoning Grimsel. Read more about the different trips here. TICK IT OFF THE BUCKET LIST! 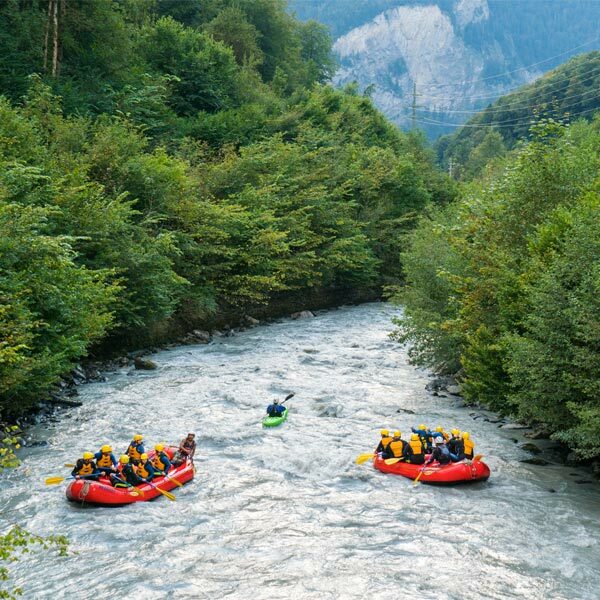 Interlaken is one of the premiere locations on the planet to go white water rafting. The rivers are located beneath the Eiger, Monch and Jungfrau mountains! There are options from mellow cruises to fast flowing alpine rivers with class IV rapids. Trips include Lütschine, Simme and Aare. 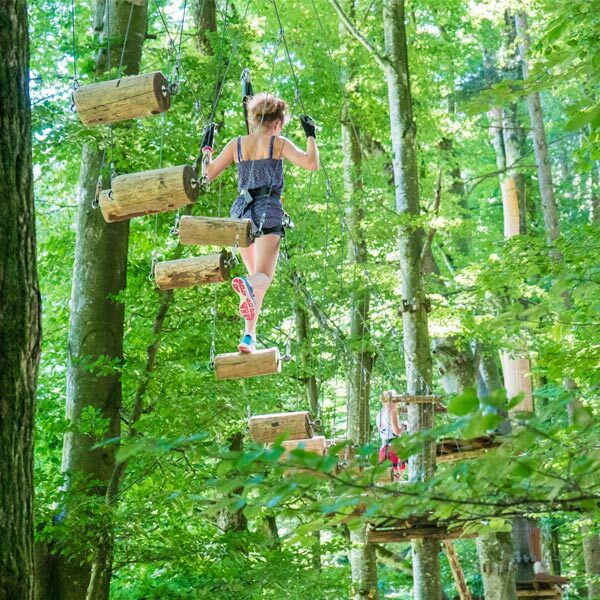 The Adventure Park in Interlaken is an absolute playground for all ages. There’s everything from low level ‘butterfly’ walks to 20m high rotating barrels suspended from swaying wires. 120+ challenges, bbq area, snack shop… great way to spend an afternoon or even a full day if you’re feeling strong! An amazing way to see the Swiss Alps! You can fly around Eiger, Mönch and Jungfrau towering above Interlaken and the spectacular Lauterbrunnen valley. There are even glacier landing options on the Matterhorn!!! This is some next level fun, pure adrenaline! 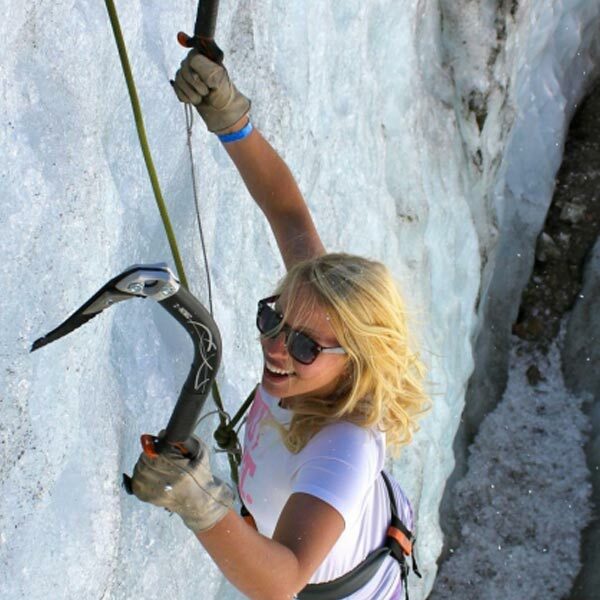 Attach yourself An experienced guide will attach you to an 85m rope and YOU will jump into the narrow glacier gorge! Free fall 50m before swinging at 120kpm through the canyon… If you’re scared of heights, you should definitely get over it by doing this! 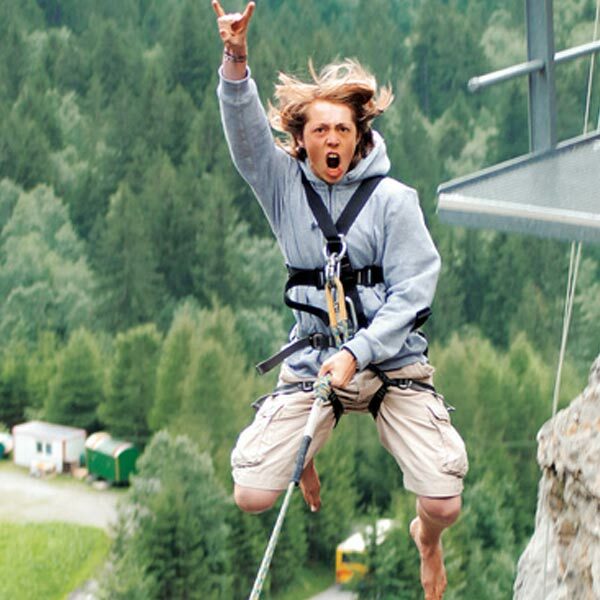 One of the most scenic and unique bungy jumping experiences in the world. Take a gondola ride 134m above the lake overlooking the Swiss alps, open the doors and leap out!! You’ll be picked up by a boat and taken safely back to shore where you can play with the cows and try and figure out what you just did!! If bikes are your thing, this is an epic way to see the mountains! There are two different styles of scooter to choose from Downhill Gravity Scooters or Monster Scooters (big fat tyres). Take the gondola up into the mountains and buzz back down on the bike! 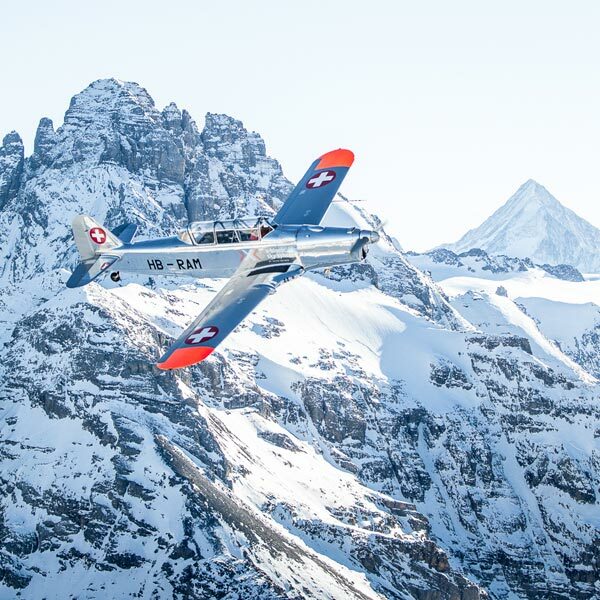 Fly above the town of Interlaken and take in the incredible views of the Swiss Alps. With Jungfrau, Eiger and Mönch towering in the background and two lakes glistening in the summer’s sun this is the best seat in the house! 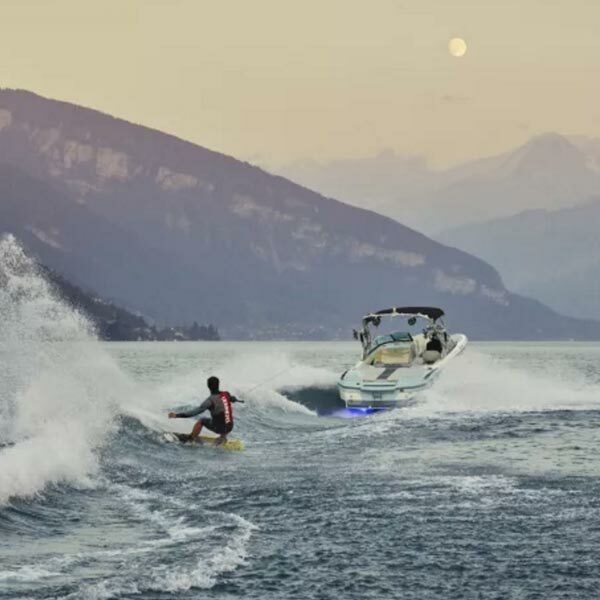 Blaze along the lake at ridiculous speeds in Switzerland’s first commercial Jetboat! 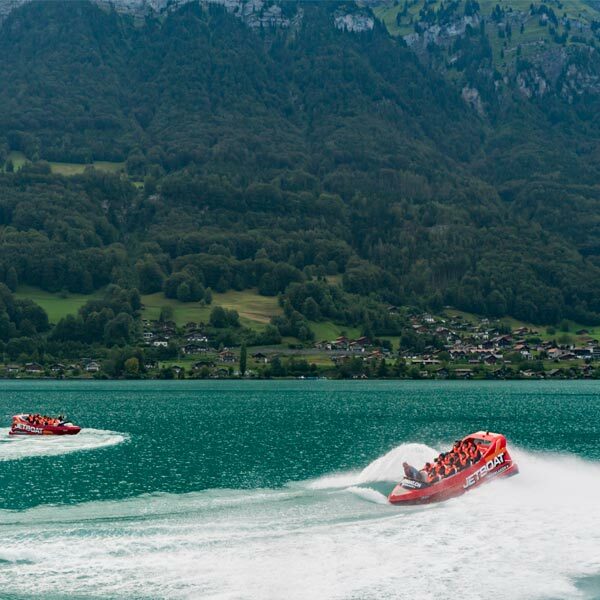 Not only is it an epic experience being strapped into such a powerful boat, skimming across the lake and doing flat spins you’ll get to see the waterfalls that pour into Lake Brienz and the impressive mountains towering above. This is the top of Europe! The highest railway station in Europe at 3,454m above sea level. 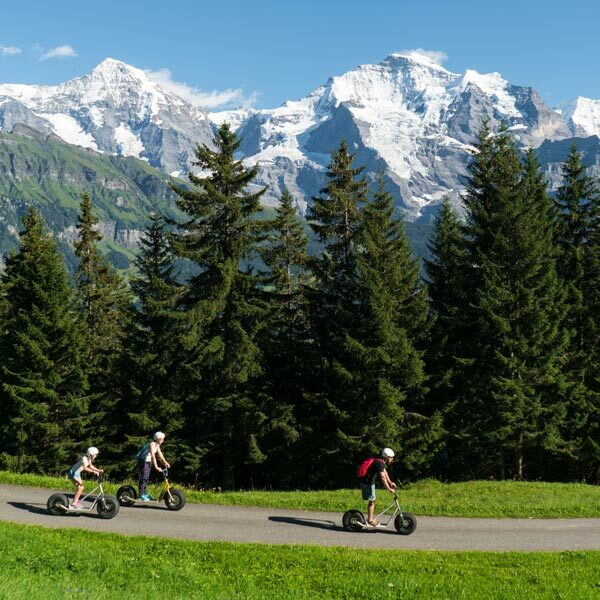 This trip takes you through Lauterbrunnen, Wengen, Kleine Scheidegg and Grindelwald. 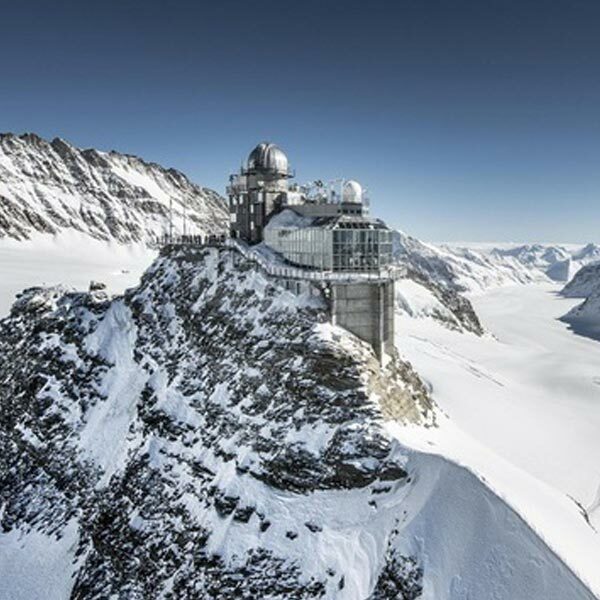 You’ll get to learn some history, stop off in some amazing mountain villages and take in the incredible energy from Jungfraujoch. It’s not normal practice to jump out of a plane. Once you do it though, it’ll change your perspective forever! 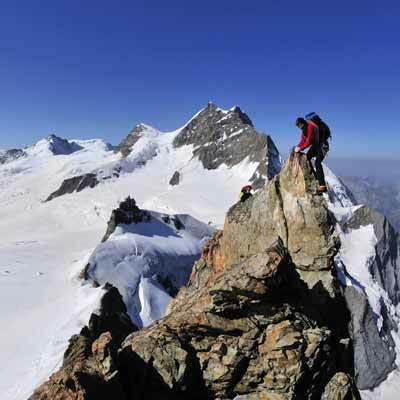 The flight up to 12,000ft is incredible in itself overlooking the breathtaking Swiss Alps. Once that door opens, the heart skips a beat and prepares your body for the unknown… the feeling can’t be explained. If you’ve ever thought about skydiving, this is one of the best places in the world to do it! 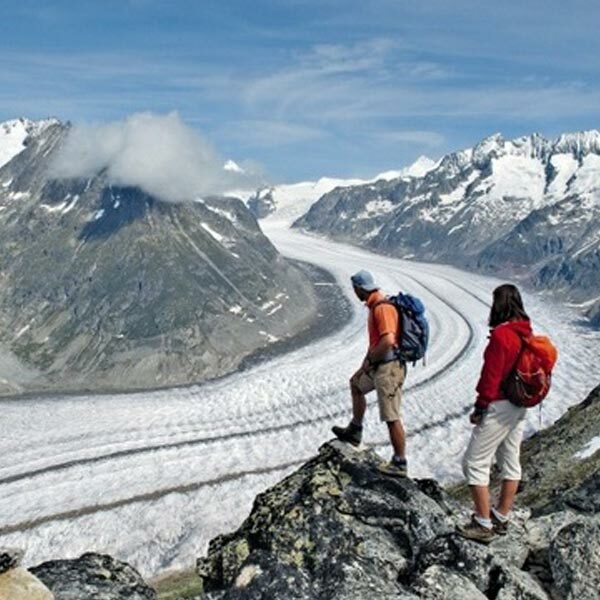 The Aletsch Glacier is the longest glacier in Europe and is located in the heart of the UNESCO World Heritage site. This is an overnight trip and you get to stay in the awesome Konkordia hut at 2850m (9350ft). You’ll follow the frozen river for 6hrs, lined with icy crevasses and mindblowing scenery. Flying in it’s purest form! If you’ve ever dreamt of flying, this is as close as you’ll get to the real thing. Talk to your instructor about how far you want to push it. 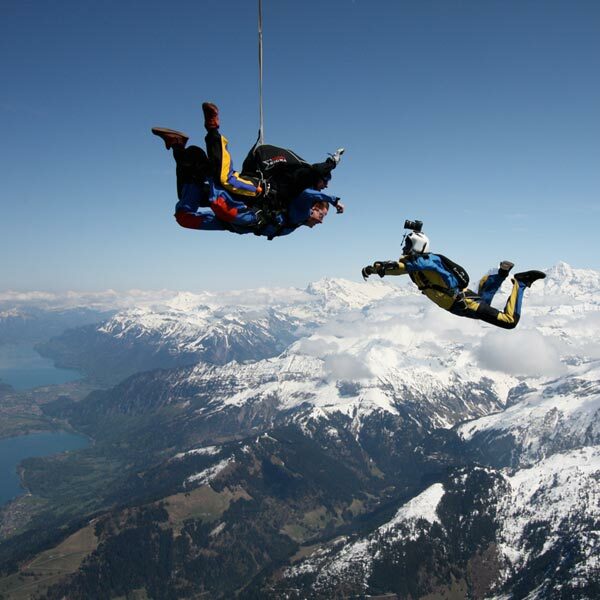 You can get into wing-overs, stalls, dives or just cruise over Interlaken and the lakes taking in the amazing views of the Swiss Alps! Wow, what an impressive natural creation! The Glacier canyon was formed by the lower Grindelwald glacier, carving its way through this area. There are huge exposed rock galleries and tunnels and a 170m2 spiderweb spanning across the walls. 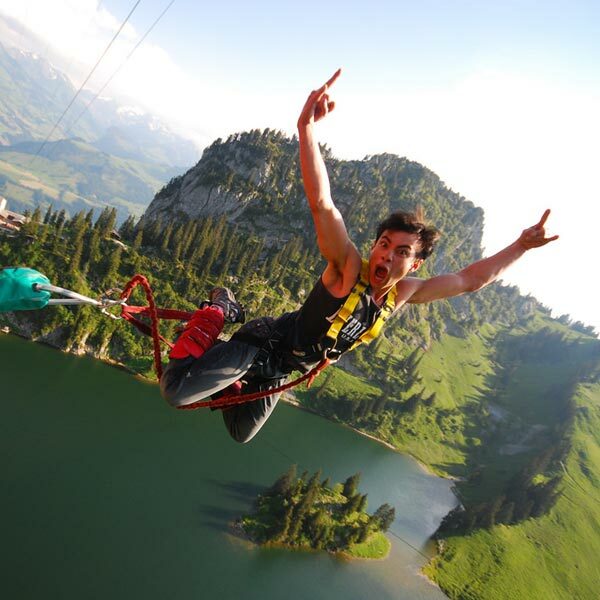 This adventure is located in one of the most scenic alpine environments in the world. Armed with ropes, ice axes and crampons you’ll take on a unique climbing experience!